Intensive litter-picking on the hills! During January and February FORH have carried out litter-picks along both sides of Portway Hill. The accumulation of dumped rubbish and thrown-out cans and plastic bottles from passing motorists in this area has been of great concern to the Friends of Rowley Hills for some time now and over the past few years the problem with littering has steadily increased. Portway Hill regularly attracts fly-tipping and from this area alone over 50 bags of rubbish have been removed along with carpets and hazardous waste such as old tyres etc. Litter that had accumulated along the hedgerow in Oakham Road bordering the Dudley Golf Club land between the Wheatsheaf and Warrens Hall Care Home has also been removed. We are grateful to Serco and Sandwell Council for their prompt response in organising the collection of the litter-filled bags and other rubbish from the roadside. We would also like to thank Mark Smith and staff at Edwin Richards Quarry who have carried out litter-picks from their side of the fence on the bank overlooking Portway Hill. This entry was posted in FORH updates and tagged Black Country, Friends of Rowley Hills, litter, Litter pick, Rowley Hills, Sandwell Council, volunteering, West Midlands, Winter on March 5, 2019 by janetav. Conservation volunteer day, Portway Hill, Saturday 19th January 2019, 10:00am – 3:00pm. Join the Wildlife Trust for Birmingham & the Black Country at Portway Hill for a fun day out meeting new people, helping the environment and learning new skills. Meet on St Brades Close; ensure you are dressed appropriately for the forecast weather conditions, and wear sturdy footwear. You will need to bring along a packed lunch but tea, coffee and biscuits will be provided. No need to book, just turn up! Conservation volunteer day, Portway Hill, Friday 1st February 2019, 10:00am – 3:00pm. Join the Wildlife Trust for Birmingham & the Black Country at Portway Hill for a fun day out meeting new people, helping the environment and learning new skills. Meet on St Brades Close; ensure you are dressed appropriately for the forecast weather conditions, and wear sturdy footwear. You will need to bring along a packed lunch but tea, coffee and biscuits will be provided. No need to book, just turn up! Conservation volunteer day, Portway Hill, Saturday 16th February 2019, 10:00am – 3:00pm. Join the Wildlife Trust for Birmingham & the Black Country at Portway Hill for a fun day out meeting new people, helping the environment and learning new skills. Meet on St Brades Close; ensure you are dressed appropriately for the forecast weather conditions, and wear sturdy footwear. You will need to bring along a packed lunch but tea, coffee and biscuits will be provided. No need to book, just turn up! Conservation volunteer day, Portway Hill, Friday 1st March 2019, 10:00am – 3:00pm. Join the Wildlife Trust for Birmingham & the Black Country at Portway Hill for a fun day out meeting new people, helping the environment and learning new skills. Meet on St Brades Close; ensure you are dressed appropriately for the forecast weather conditions, and wear sturdy footwear. You will need to bring along a packed lunch but tea, coffee and biscuits will be provided. No need to book, just turn up! Conservation volunteer day, Portway Hill, Saturday 16th March 2019, 10:00am – 3:00pm. Join the Wildlife Trust for Birmingham & the Black Country at Portway Hill for a fun day out meeting new people, helping the environment and learning new skills. Meet on St Brades Close; ensure you are dressed appropriately for the forecast weather conditions, and wear sturdy footwear. You will need to bring along a packed lunch but tea, coffee and biscuits will be provided. No need to book, just turn up! Conservation volunteer day, Portway Hill, Friday 5th April 2019, 10:00am – 3:00pm. Join the Wildlife Trust for Birmingham & the Black Country at Portway Hill for a fun day out meeting new people, helping the environment and learning new skills. Meet on St Brades Close; ensure you are dressed appropriately for the forecast weather conditions, and wear sturdy footwear. You will need to bring along a packed lunch but tea, coffee and biscuits will be provided. No need to book, just turn up! ‘Looking Back’ walk led by Jim Rippin and Mike Poulton, Saturday 13th April 2019, 10:00am – 1:00pm. Meet at the entrance to Bury Hill Park. Cost £6 payable on the day (all proceeds go to the Friends of Rowley Hills). 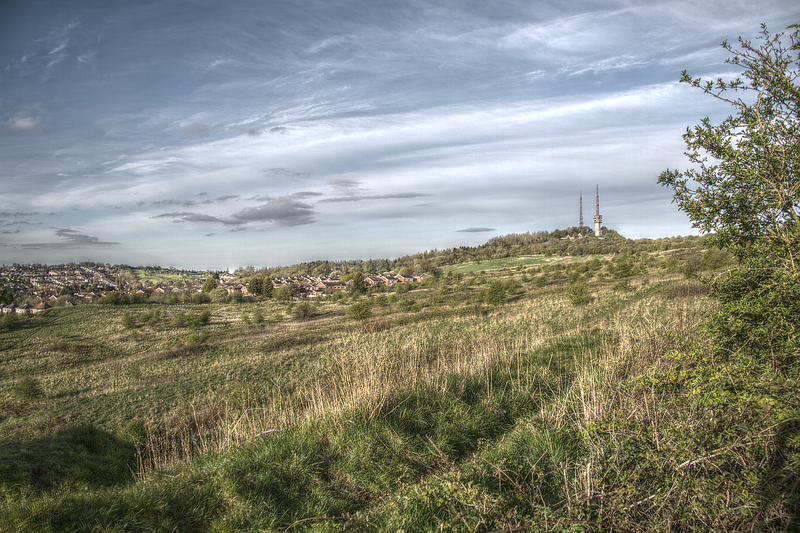 A guided walk-and-talk over the Rowley Hills with archive photographs. Following on from our very successful ‘Looking Back’ walk in September 2018 by popular request we have decided to repeat the event again this spring. This is a specially designed guided walk-and-talk based around a series of remarkable photographs taken by Jim Rippin over the last 70 years. The walk will invite us to see the area in new and fascinating ways, helping us to reflect on the many changes that have taken place within living memory. Souvenir booklets with old photographs will also be available to purchase on the day. 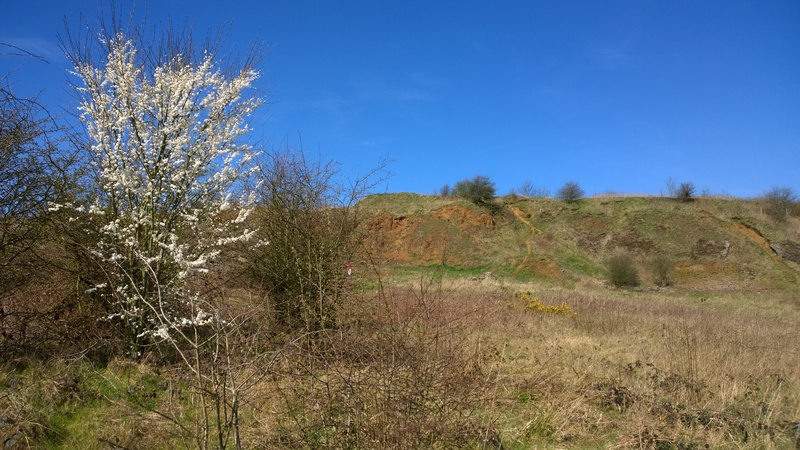 Conservation volunteer day, Portway Hill, Saturday 20th April 2019, 10:00am – 3:00pm. Join the Wildlife Trust for Birmingham & the Black Country at Portway Hill for a fun day out meeting new people, helping the environment and learning new skills. Meet on St Brades Close; ensure you are dressed appropriately for the forecast weather conditions, and wear sturdy footwear. You will need to bring along a packed lunch but tea, coffee and biscuits will be provided. No need to book, just turn up! Dawn chorus walk, Portway Hill, Monday 6th May 2019, time to be confirmed. 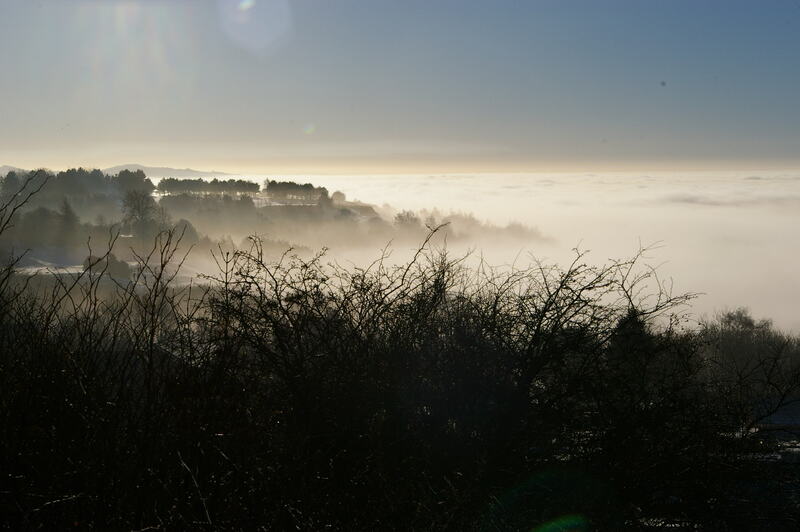 Join local bird expert Nick Horton for a dawn chorus walk around the Portway Hill site. In December Nick spotted a Red Kite on two separate occasions over Turners/Portway Hill and watched crows mobbing a Raven. We will also be on the lookout for Whitethroat, Lesser Whitethroat, Peregrine, Buzzard, Sparrowhawk and Kestrel, all birds regularly seen on the hillside. Wear sturdy footwear and dress appropriately for the early morning weather conditions. Meet on St Brades Close at the junction with Tower Road. Green Hairstreak search, meeting place to be confirmed, Saturday 25th May, 11:00am. More details to follow! This entry was posted in Events and tagged Black Country, conservation, Friends of Rowley Hills, guided walks, Rowley Hills, spring, volunteering, West Midlands, Winter on January 14, 2019 by janetav. We’ve added a whole host of new events for autumn/winter 2018 to our website, including lots of conservation volunteer days with the Wildlife Trust for Birmingham & the Black Country and a fascinating guided walk focusing on the history of the local area. All the details are below and also on our Events page! Conservation volunteer day, Portway Hill, Friday 7th September 2018, 10:00am – 3:00pm. Join the Wildlife Trust for Birmingham & the Black Country at Portway Hill for a fun day out meeting new people, helping the environment and learning new skills. Meet on St Brades Close; ensure you are dressed appropriately for the forecast weather conditions, and wear sturdy footwear. You will need to bring along a packed lunch but tea, coffee and biscuits will be provided. No need to book, just turn up! Looking Back: A guided walk-and-talk over the Rowley Hills with archive photographs, Saturday 15th September, 10:30am – 1:00pm. Led by Mike Poulton and Jim Rippin, cost: £6 (all proceeds go to the Friends of Rowley Hills. This specially designed guided walk-and-talk is based around a series of remarkable photographs taken by Jim Rippin over the last seventy years. The walk will invite us to see the area in new and fascinating ways, helping us to reflect on the many changes that have taken place within living memory. Booking is essential; for more information and to book your place, go to https://www.eventbrite.co.uk/e/looking-back-a-guided-walk-over-the-rowley-hills-with-archive-photographs-tickets-49033218677. Conservation volunteer day, Portway Hill, Friday 5th October 2018, 10:00am – 3:00pm. Join the Wildlife Trust for Birmingham & the Black Country at Portway Hill for a fun day out meeting new people, helping the environment and learning new skills. Meet on St Brades Close; ensure you are dressed appropriately for the forecast weather conditions, and wear sturdy footwear. You will need to bring along a packed lunch but tea, coffee and biscuits will be provided. No need to book, just turn up! Geoconservation day, Portway Hill, Saturday 6th October 2018, 10:30am – 2:30pm. Join the Black Country Geological Society to help excavate and expose more of the dolerite at Blue Rock Quarry. Meet on St Brades Close; wear old clothes, waterproofs and stout footwear. Please bring gloves and tools: spades, brushes, trowels, loppers, saws etc. and a packed lunch. For more info please visit the BCGS website. Conservation volunteer day, Portway Hill, Saturday 20th October 2018, 10:00am – 3:00pm. Join the Wildlife Trust for Birmingham & the Black Country at Portway Hill for a fun day out meeting new people, helping the environment and learning new skills. Meet on St Brades Close; ensure you are dressed appropriately for the forecast weather conditions, and wear sturdy footwear. You will need to bring along a packed lunch but tea, coffee and biscuits will be provided. No need to book, just turn up! Conservation volunteer day, Portway Hill, Friday 2nd November 2018, 10:00am – 3:00pm. Join the Wildlife Trust for Birmingham & the Black Country at Portway Hill for a fun day out meeting new people, helping the environment and learning new skills. Meet on St Brades Close; ensure you are dressed appropriately for the forecast weather conditions, and wear sturdy footwear. You will need to bring along a packed lunch but tea, coffee and biscuits will be provided. No need to book, just turn up! Conservation volunteer day, Portway Hill, Saturday 17th November 2018, 10:00am – 3:00pm. Join the Wildlife Trust for Birmingham & the Black Country at Portway Hill for a fun day out meeting new people, helping the environment and learning new skills. Meet on St Brades Close; ensure you are dressed appropriately for the forecast weather conditions, and wear sturdy footwear. You will need to bring along a packed lunch but tea, coffee and biscuits will be provided. No need to book, just turn up! This entry was posted in Events and tagged autumn, Black Country, conservation, Friends of Rowley Hills, Geology, guided walks, Rowley Hills, volunteering, West Midlands, Wildlife Trust, Winter on August 19, 2018 by janetav. 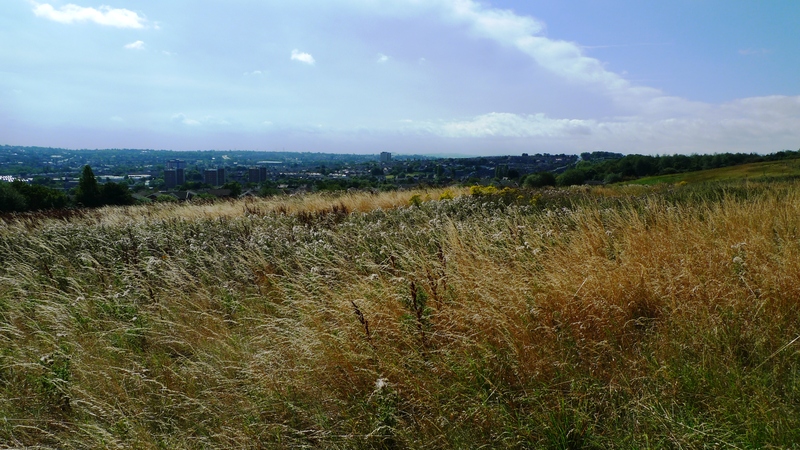 Join us and the Wildlife Trust for Birmingham & the Black Country this Saturday 26th February for our final Awards For All Lottery-funded event, a guided walk taking in some of the Rowley Hills’ great views across the Black Country. 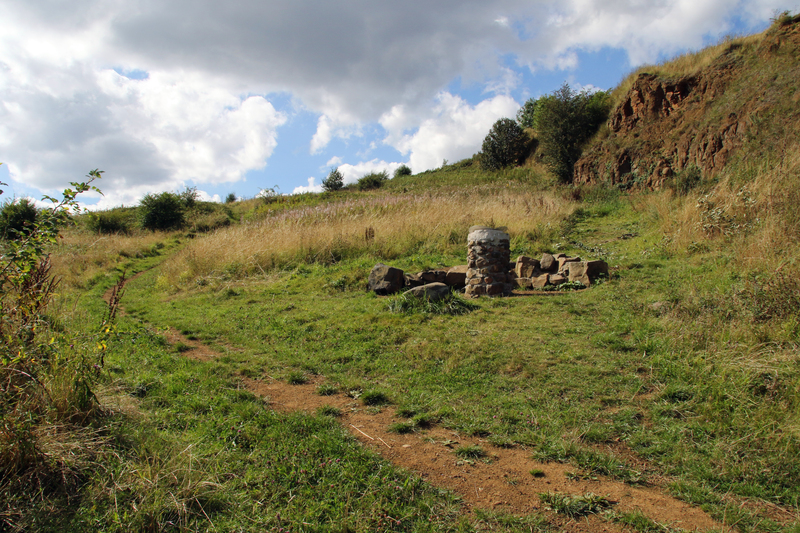 The walk will start from St Brades Close at 10:00am (see our Events page for a map) and will begin by heading over to the viewpoint above the Wildlife Trust’s Portway Hill nature reserve. From there we will go on to several other great locations high up in the hills, where you can enjoy fantastic views over the cityscapes of Birmingham & the Black Country. Walking boots or other sturdy footwear are a must for this walk, as the terrain is uneven and may be slippery in places. Wrap up warm and bring a flask with a warm drink if you like – the walk should last just over three hours and covers about 5 miles; we will be stopping at one of the viewpoints for a rest about halfway. This a family friendly event; dogs are allowed, however they must be on a lead at all times. The event is free but donations are always welcome to support the work of the Wildlife Trust. We hope to see you there! This entry was posted in Events and tagged Awards for All, Big Lottery Fund, Black Country, Friends of Rowley Hills, guided walks, Rowley Hills, views, West Midlands, Wildlife Trust, Winter on February 23, 2017 by janetav. Our group of fifteen had a fantastic time on last Saturday’s Lottery-funded Awards for All event walking over and under the Netherton Tunnel. Six of the seven remaining pepperpots on the Rowley Hills were visited and when we arrived at Bumble Hole Visitor Centre for tea and coffee, as proof of the achievement of walking through the tunnel, all of the participants received a certificate kindly provided by Bumble Hole Volunteers Group. Here are a few photos from the walk! This entry was posted in Events and tagged Awards for All, Big Lottery Fund, Black Country, Bumble Hole, Friends of Rowley Hills, guided walks, Netherton Tunnel, Rowley Hills, West Midlands, Winter on January 15, 2017 by janetav. We’ve just added plenty more Lottery-funded new events to our website, including volunteering days for the winter season – we will be continuing to work with the Wildlife Trust for Birmingham & the Black Country on improving Portway Hill’s access, habitats and key features. The next event in the diary though is this Saturday when there will a free Halloween-themed family fun day at Bury Hill Park, with lots of activities including clay art, creepy crawlies and scary drawings! Come along any time between 11:00am and 3:00pm, and in the meantime check out our Events page to see what else we have planned for the coming months. This entry was posted in Events, Volunteering and tagged autumn, Awards for All, Big Lottery Fund, Black Country, conservation, Friends of Rowley Hills, Rowley Hills, volunteering, West Midlands, Wildlife Trust, Winter on October 26, 2016 by janetav.